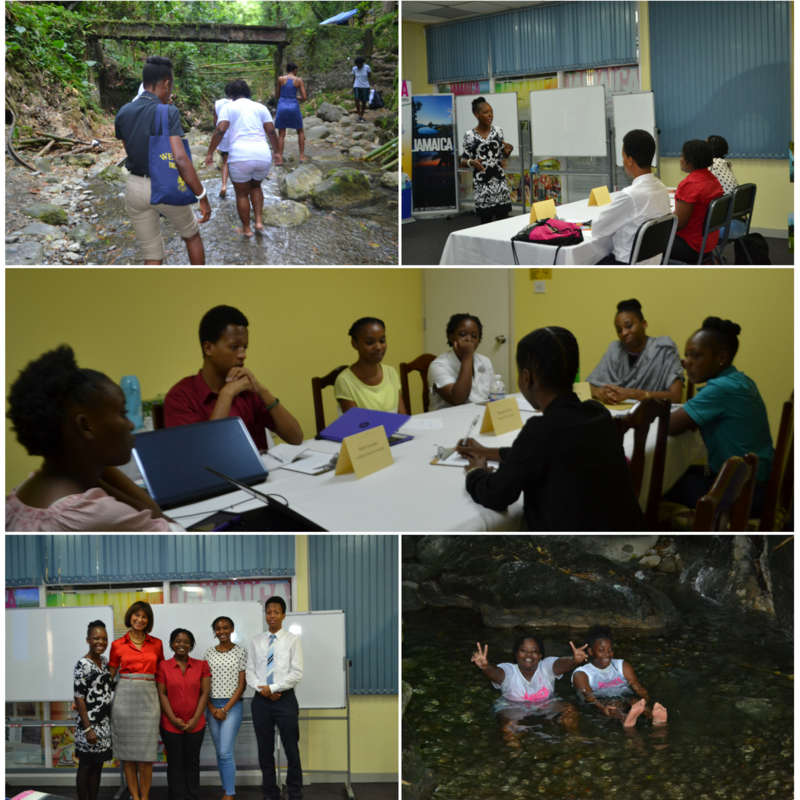 After the top three participants had been selected in the First Round of the CTO Youth Congress 2018, the next step of the Tourism Awareness Unit was to host an informative and engaging workshop to groom the finalists for the post of ‘Junior Minister of Tourism’. This workshop took place from July 2-5, 2018 at 10:00 am daily in the Clive Taffe Information and Resources Centre (JTB Library) and The Corporate Service Meeting Room (JTB- 2nd Floor). 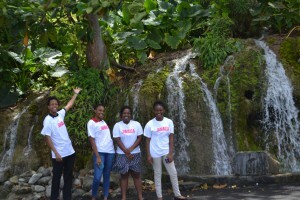 The finalists were engaged in meaningful discussions, they were given detailed presentations on relevant tourism related topics as well as they were taken on several site visits to get a taste of what their beautiful island has to offer. 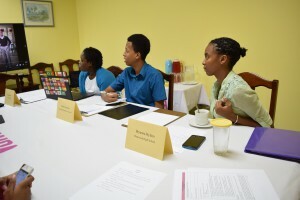 On day one of the workshop, Monday July 2, the finalists were briefed on expectations of them which was followed by a year in review by the 2017 Junior Tourism Minister, Jeheime Llewellyn. After this was a rap session in which finalists got the chance to make meaningful enquiry regarding the experience of the current Junior Tourism Minister. Next, the participants were coached on the multiplicity of benefits of competing in the CTO Youth Congress which was done by Mr. Rajay Maragh, runner up finalist 2017, immediately followed by lunch. 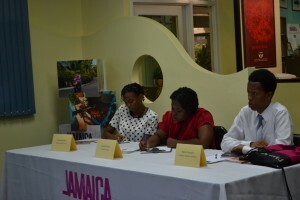 The three finalists were then taught proper grooming techniques and etiquette by Ms. Beverly Corke, an internationally renowned grooming instructor. 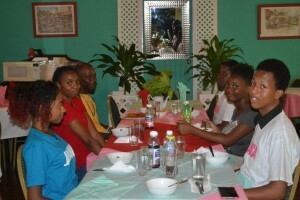 Tuesday saw the finalists firstly having a video presentation about the CTO Youth Congress 2017 in Grenada. Following this, Mrs. Sharille Pink shared her public speaking expertise by engaging them in a fulsome discussion with an aim to increase awareness on making quality presentations. After unwinding, the finalists were led into another discussion about Topic #2 ‘Building Smart and Sustainable Countries’ by Mr. Osbourne Chin, Director of the Planning and monitoring department in the Ministry of Tourism. The final activity for the day involved a presentation by Systems Support Officer, Brandon Ormsby, on how audio visuals can be used to enhance one’s presentation, which all participants found to be very interesting and useful. Day three was a very compact day for the finalists, as they were led into a discussion regarding the remaining two topics as well as being taken on two exciting site tours. 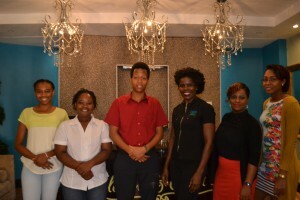 The day kicked off with a site tour of the Eden Gardens Wellness Resort & Spa where they were welcomed by the friendly staff and treated to relaxation in fine style. 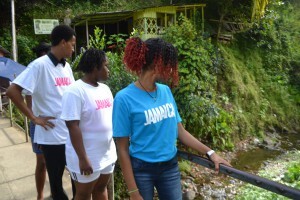 This was brought to a short halt when the three were engaged into a discussion about ‘Wellness Tourism’ Topic #3, by Simone Harris, Senior Tourism Network Analyst. 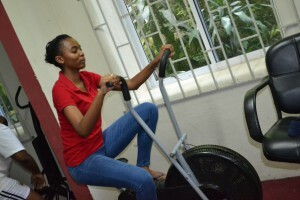 Briefly after lunch Mrs. Belinda Dowe, Regional Training Officer Kingston (TPDCo. ), led the discussion on Topic #1 ‘Virtual Reality and Tourism’. 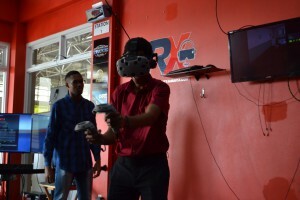 The day came to a close with a second site visit to Virtual Reality & Esport Centre. 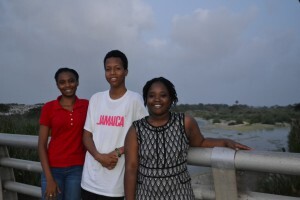 The workshop ended with a bang on Thursday, July 5 as the finalists were treated to a day of outing and nonstop fun and excitement as they went out to explore their beautiful island. 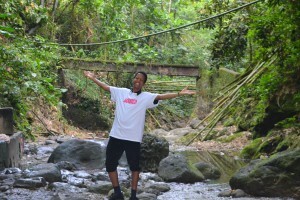 They made a total of four stops at: Yhallas Bridge, Roselle Falls, Morant Bay Courthouse and finally the Bath Fountain Hotel and Spa. At the Bath Fountain Hotel and Spa an afternoon of adventure and fun awaited them as they were taken on a tour of the property; they did a river and hot spring tour, they were treated to lunch by the fantastic staff and lastly but definitely not least, they got a chance to enjoy the mineral bath. The workshop was overall an eye opening, mind blowing and exciting experience for all three finalists. The CTO Youth Congress Finals is scheduled for mid-August 2018 where the Junior Minister of Tourism will be determined.